In addition to his central role as Batman, Ben Affleck is fast becoming one of the critical creative forces behind the camera in the DC Cinematic Universe. He reportedly performed on-set rewrites of the Batman v Superman: Dawn of Justice script and will also be writing the future solo Batman movie (rumored to be titled The Batman) as well as directing the project. Recently, the multi-talented Affleck earned himself another hat to wear as he has taken on the role of executive producer on next year’s Justice League Part I, in which he is also obviously returning as Batman. After the less-than-enthusiastic reception from audiences and critics that greeted BvS, the future of Warner Bros.’ DC superhero franchise slate remains a little in doubt. Getting Affleck in an important behind-the-scenes position on the huge question mark that is Justice League appears to be both a vote of confidence on the studio’s part and an attempt to save face with the press and ticket-buying public. 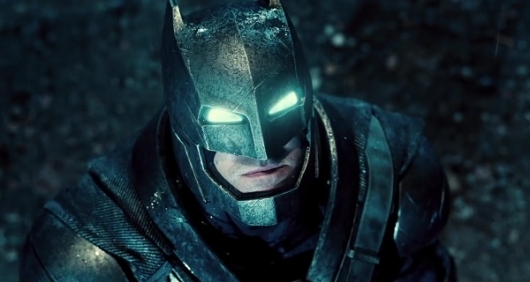 There have been rumblings since BvS‘s release that execs at Warner Bros. were furious with Snyder at the film’s plummeting box office haul, attributed to radioactive word of mouth stemming from its overbearingly dark tone and confusing narrative that attempted to shoehorn in cameos from other members of the Justice League superhero team in addition to main characters Superman and Batman and last act combatant Wonder Woman, whose own solo flick opens next Summer. Justice League Part I (title subject to change), which stars Affleck, Henry Cavill, Gal Gadot, Jason Momoa, Ezra Miller, Ray Fisher, Amy Adams, Jeremy Irons, J.K. Simmons, and Willem Dafoe, is scheduled to open in theaters on November 17, 2017.